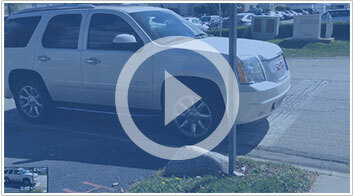 This video shows one of our drivers loading a GMC Yukon Denali on a 7 car hauler in Tampa,Florida. As you can see, in the car shipping business experience is everything. Placing a vehicle on the bottom of a 7 car hauler takes years of experience in the industry. Larger vehicles like this GMC are much harder to load on a car hauler without getting them damaged. All of our drivers have over 3 years of experience, which is why our accident rate is below 1%. This means that out of every 100 vehicles that we ship, 99 of them are delivered without a scratch or any kind of damage. This vehicle was delivered safely in New York and the customer was very excited to receive his vehicle one day ahead of schedule. Shipping your vehicle with Van 3 Auto Transport is an extremely easy process and you will not have to worry about safety because our 99% safety record speaks for itself.